By now, most of us are aware of the abandoned, once-forgotten subway stations and other underground wonders hidden beneath the streets of cities around the world. There are even entire cities beneath cities, like Seattle’s Underground. But what about the more obscure secret spaces right under our noses, that we may pass every day as we go along our routines, never knowing of their existence? You could be walking over a reproduction of the Holy Land, a beautiful Art Deco time capsule, a secret canal or a (literally) underground drag racing strip without having a single clue. Residents of Washington. D.C. probably walk or drive past this unremarkable alleyway all the time, never paying particular attention to the vehicles that go in or come out. But it’s actually a secret back door to the White House created in the 1940s, and the only reason we know that is through archival newspaper reports from the time, when it was just a matter of relatively yawn-worthy public interest. Perhaps the Secret Service would rather we didn’t know about it, especially since they have installed a bulletproof kiosk into the wall at the entrance for their own staff. The secret route winds around the block, into an IRS building and ultimately empties into a subterranean granite vault built during World War II. 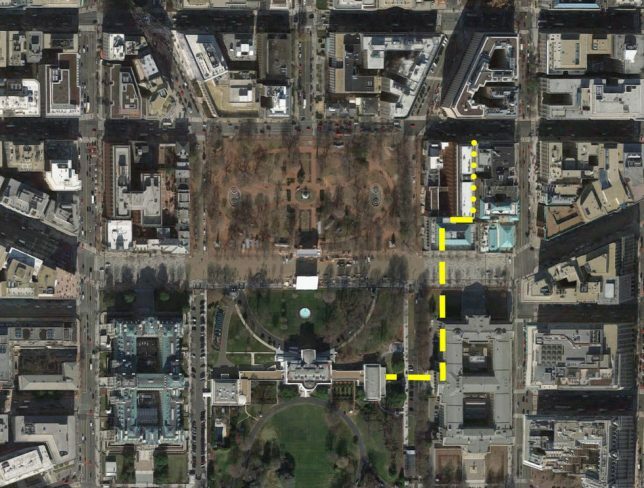 No doubt, it’s just one of several such routes, and though it’s low-key public information, you probably don’t want to march right up to the H Street entrance unless you’re looking to get some special Secret Service attention. Some people call it the Bat Cave. Others, the Magic Road. You need a special pass card to gain entrance at either end, which makes it feel exclusive to those who zip through its cramped quarters full of concrete pillars. 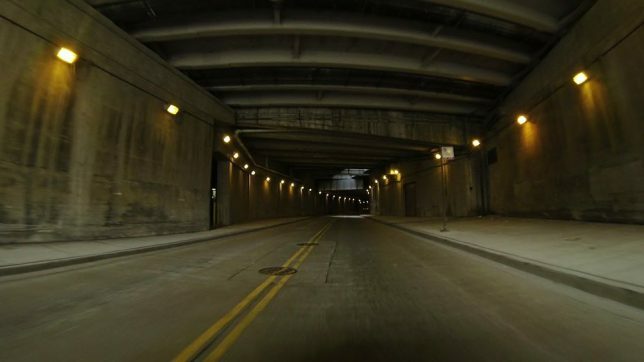 Lower Wacker Drive, which first opened in 1926, is unknown to many Chicagoans, while those who’ve been aware of it for decades roll their eyes at every person who thinks they ‘discovered’ the ‘secret’ passage designed for service vehicles and convention buses. Many skyscrapers along the route open directly to Lower Wacker Drive at basement level for deliveries and garbage trucks. But many a proudly in-the-know Chicago resident may still be unaware that there’s actually a Lower Lower Wacker Drive, built in 1975 for parking and storage. Most people only find out about it when their vehicle is towed to a notoriously hard to access impound lot located on this level. Others who live in the skyscrapers nearby may just wonder if they’re losing their minds when they hear the echoes of the illegal drag racing that goes on along this subterranean route every weekend. There’s a whole other Chattanooga under the current Chattanooga, and nobody knows why. 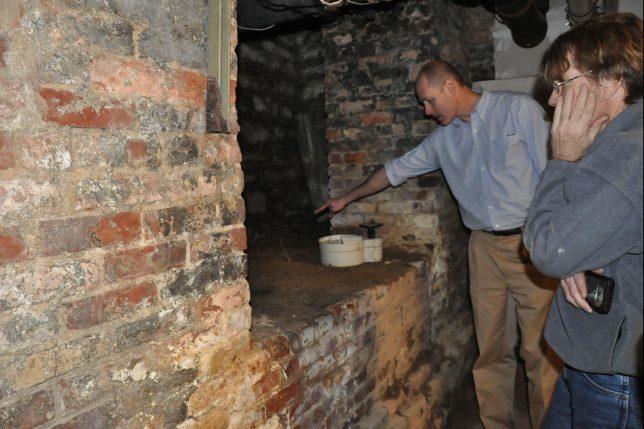 When you descend into the basement levels of many old businesses built in the 19th century, you’ll find windows and doors that lead nowhere, evidence of a lower level that disappeared underground when the city built up its roads between 1875 and 1905. Some people think they did this to avoid flooding from the Tennessee River, while others believe they may have thought it would help stop the spread of infectious diseases like cholera that ravaged residents at the time. It’s hard to really get a sense of the size and scale of this forgotten layer, because it’s almost entirely located on private property. Documentation of construction at the time is almost non-existent, so there’s no digging through archives to solve the mystery. Historians don’t even know where the city got the soil to fill it all in. 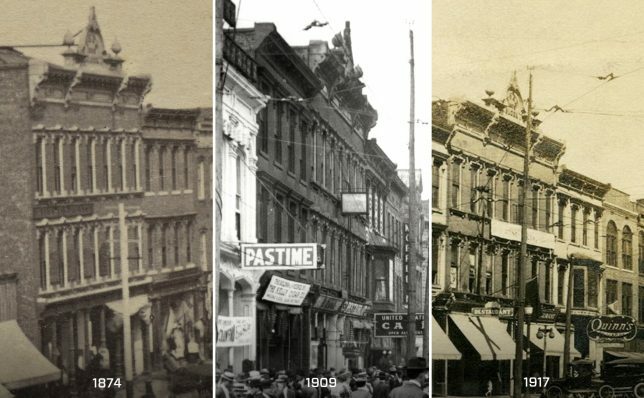 Naturally, the owners of some of these structures have turned them into tourist attractions with various kinds of tours, and legends of ghosts have proliferated. When it’s mentioned in the novel Underground Airlines by Ben Winters, the subterranean river called Pogue’s Run under Indianapolis seems fictional like everything else in the story, which imagines a reality in which slavery in America was never officially abolished. But it’s actually real, running under the city for two and a half miles, a popular destination for urban explorers, who often traverse it by bike. It’s dark and dank, infested with terrifyingly robust rats and gigantic insects. It was directed under the city back when urban streams were essentially open sewers, and mostly hidden under structures like an old parking lot that was removed in the ‘90s, revealing a stretch of it to the public. It lies beneath the only stretch of the city that isn’t perfectly gridded and symmetrical, its own proportions screwing up the plan, and ends where the canal converges with the White River. 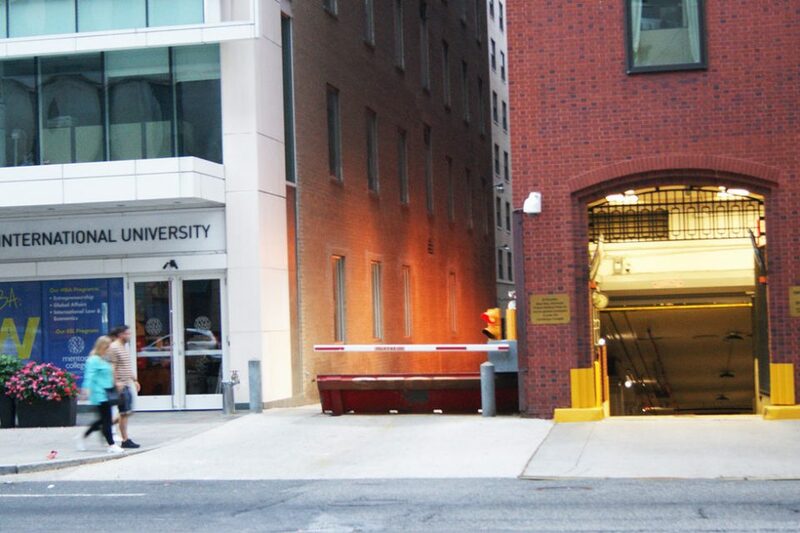 Of all the many secrets that can be found beneath street level in our nation’s capital, this complex of dim passages might be one of the strangest and most unexpected. 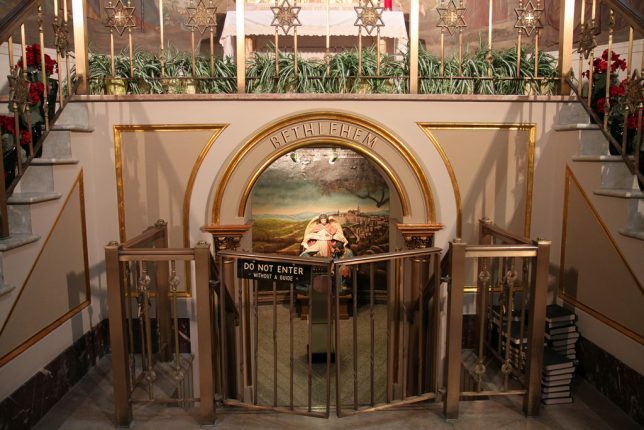 Guests who want to explore it enter through a dramatic ‘secret’ gated entrance located near the pulpit of a Franciscan monastery. What they’ll find inside is an almost Disney-like recreation of ‘The Holy Land,’ full of fake graves and reproduction grottoes cast from aggregate cement. 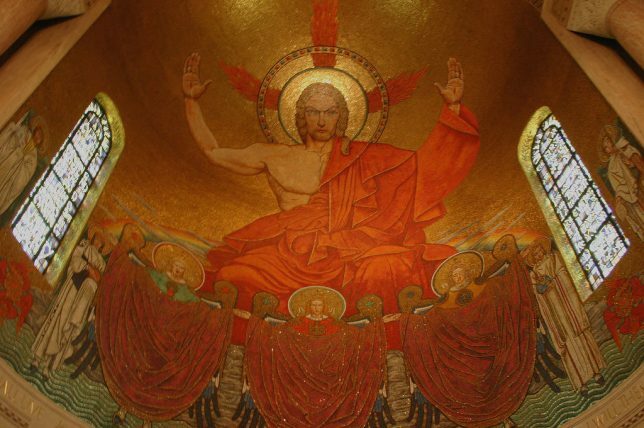 The Catacombs of D.C. were created by the monks for North Americans who can’t afford to take a trip overseas. 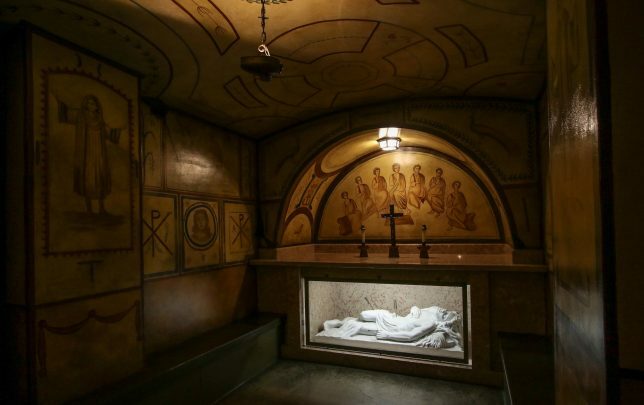 For all the fakery, there’s one grave that’s actually real, containing the skeleton of a seven- or eight-year-old child believed to be a martyr from the second century.